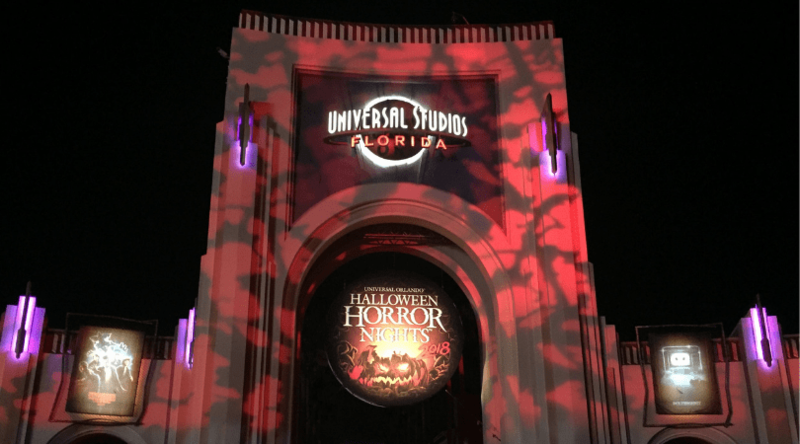 I recently visited Halloween Horror Nights as part of a hosted event during my participation at the We Grow Retreat 2018. All opinions are my own. 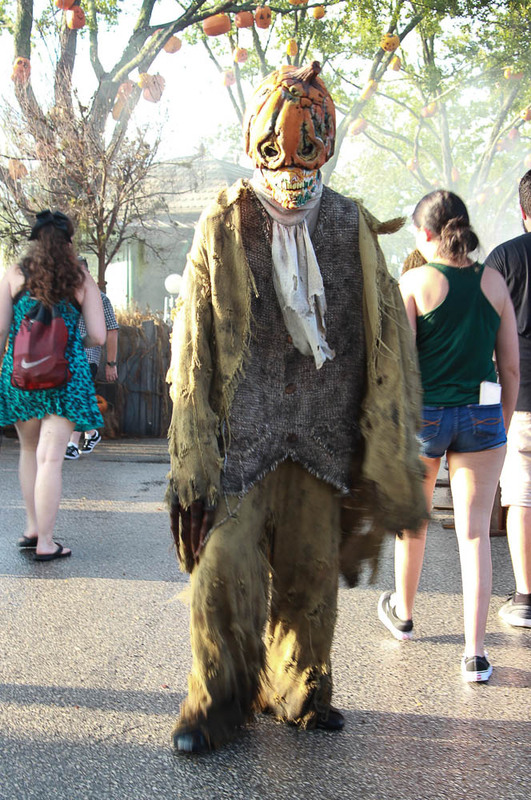 Love theme parks and a good fright? Then you’ve got to check out Halloween Horror Nights at Universal Studios. The Florida location- Universal Studios Orlando- is home to the most popular Halloween fright event in the nation. 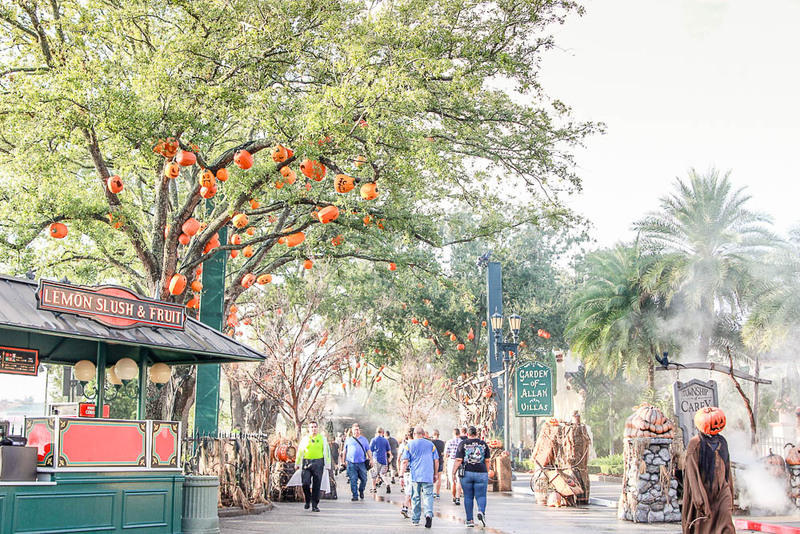 Get some of my favorites tips for a visit and learn how to save money at Halloween Horror Nights. For 28 years Universal Studios has been scaring guests with themed haunted houses during the fall months. The Universal Studios side of the park (not Islands of Adventure) closes early at 5 in order to transform the park into Halloween Horror nights with haunted houses and themed scare zones. There is a reason it’s so popular- Universal Studios takes great care to not only make you feel completely immersed in the situation, but they also make you feel comfortable with plenty of non-costumed staff available. Since Halloween Horror Nights is a special event, it is a separate ticketed event. This means you can get away with buying tickets to Universal Studios and try to stay for the event. As a separate event this also means that Express Passes are a separate purchase too. With all these costs, I couldn’t help but wonder if it’s possible to get cheap Halloween Horror Nights. 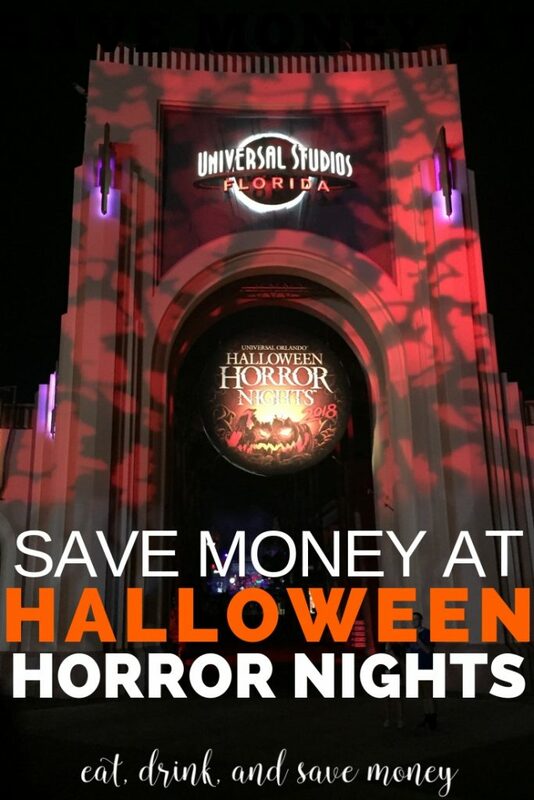 Through my own experiences and lots of internet research here is everything I found for how to save money at Halloween Horror Nights. The prices above are the base ticket prices for those dates. The prices go up as the week goes on, meaning Friday and Saturday are much more expensive than a Wednesday or a Thursday. To get the absolute cheapest tickets for Halloween Horror Nights you should visit on a Wednesday night early in September. It will be way less crowded and more enjoyable too! Vacation packages are a great way to save money at theme parks. Always visit the official Universal Studios Orlando website to see what vacation packages they are offering during your stay. At the time of publish there are deals for a one night stay with a Halloween Horror Nights ticket at Cabana Bay or Aventura for $139. If you must stay the night, this is the cheapest you will find a hotel room near Universal Studios. This is also a great deal because it will save you at least $22 on parking- learn more about that later in this post. Keep your eyes and apps pealed for special HHN discounted tickets. Earlier in the year Groupon had a Halloween Horror Nights deal. It’s no longer available, but it can’t hurt to check all your money saving apps before buying your tickets. Check here to see if there is a Halloween Horror Nights Groupon. You can save a good bit of money by buying your HHN tickets online as opposed to buying at the box office in Universal Studios. Rumor has it that the box office only offers one price- $119, whereas ticket prices fluctuate online. This can save you up to $60! I’m a big fan of price comparison. Check out the official site and then compare it to Undercover Tourist. Pro tip: make sure to buy the right ticket! You want to buy for Universal Studios Orlando. It is not easy to switch tickets if you buy the wrong one. Universal Studios closes at 5 and re-opens at 6:30 for Halloween Horror Nights. If you are in the park during the day, you can stay in a special holding zone during the transition. 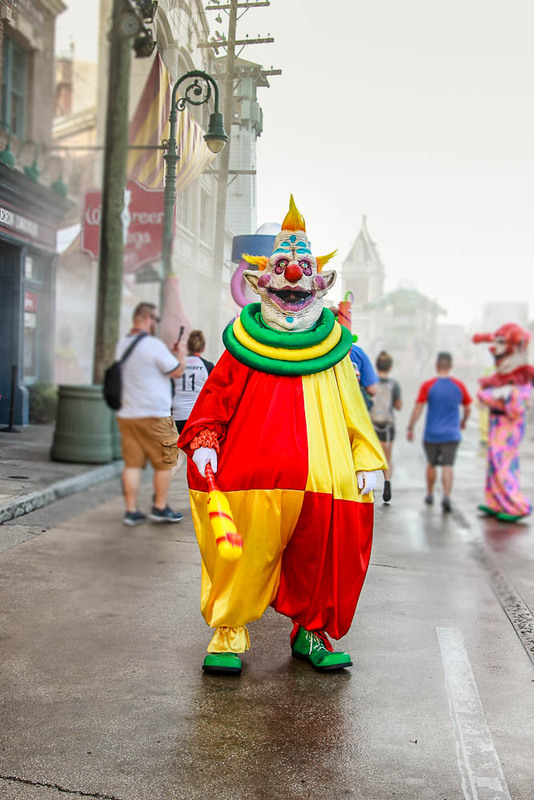 Since you are already in the park you will be one of the first people to get in line for the haunted houses meaning you can save money at HHN by skipping the Express Pass. Express Passes allow you to get in a shorter line. They start at $149 a night and are only good for one admission to each house. You must have a separate Express Pass for Halloween Horror Nights. Express Passes that you have for regular admission will not work during HHN. Did you know that Express Pass prices decrease as the night goes on? Yup! It’s an unadvertised fact, but it’s absolutely true. I stopped to inquire about the price and was told that they decrease significantly in price. Here’s my tip: go early enough that you don’t need an Express Pass. Then if you really want one later in the evening when it gets crowded (from 7-11 is peak time) buy a discounted Halloween Horror Nights Express Pass. Theme parks in Florida understand tropical heat, and Universal Studios is no exception. 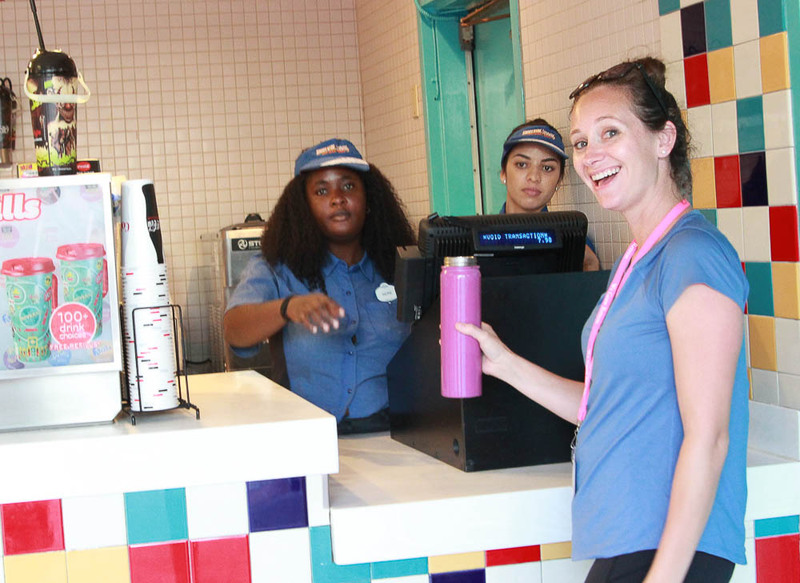 You can get a free cup of iced water anywhere that serves drinks. If you have your own cup or water bottle they will fill it up for you! Parking is typically free after 6 pm at Universal Studios. During HHN parking is anywhere from $22 to $30, including parking at City Walk. This is not the time to go visit City Walk for dinner because you will be charged at least $22 to park! Save money by either booking a vacation package for a hotel onsite, use an Uber or Lyft, or carpool with friends. Skip dinner and fill up on the special themed Halloween Horror Nights menu. 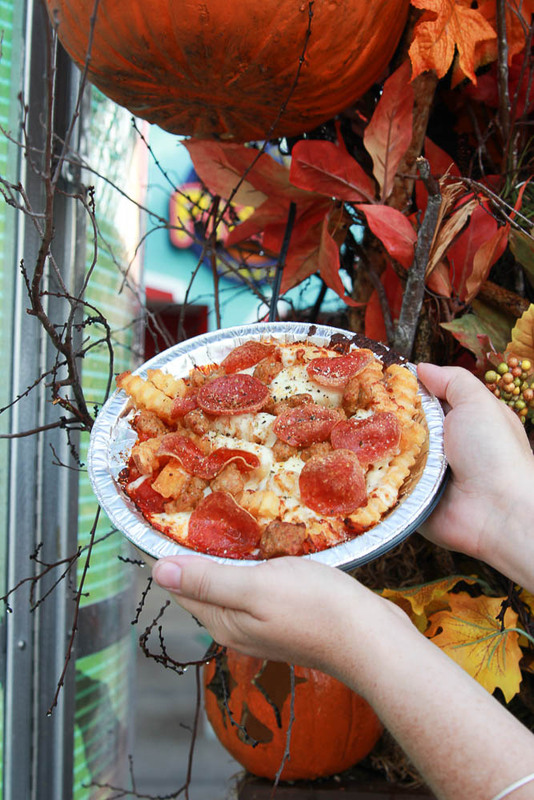 There are certain menu items that are only available during HHN. I can recommend the pizza fries that were big enough to share with a friend! Don’t want to waste time in line for food? Save money by bringing our own snacks. It’s completely fine to bring your own food into Universal Studios. Do you visit Universal Studios Orlando often? Consider an annual pass. Passholders get one FREE Halloween Horror Nights ticket each year. Dates are limited so make sure it’s for a time that works for you. I don’t know about you, but one of the main reason theme park admission is so expensive for us is because we have to pay for the kids. Here is your excuse to ditch the kids and save some money. 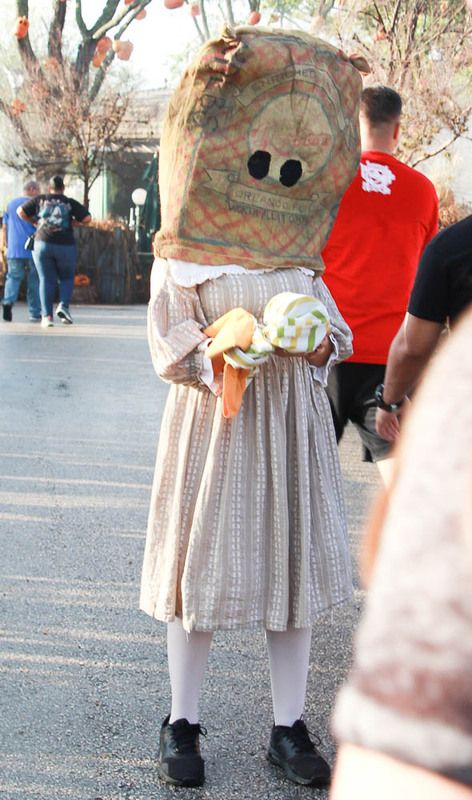 Halloween Horror Nights is not appropriate for kids under 13. Get a babysitter for the night (probably cheaper than the ticket price anyway) and enjoy the event as adults only.